As Genelife Clinical Research is growing 5 year old on February 26, 2015, with the steadfast confidence of Clients, Consultants and employees have shown to Genelife Clinical Research by entrusting to her services. When our company was founded in 2010 with a very small team, we could hardly foresee our growth to an international company with a staff of 32 within this short span of time. Many people predicted we will not last a year in the industry because we were too idealistic and simple to cope with business environment. Fortunately, we survived not only the initial phase but also the most difficult phase of Indian Clinical Research industry. When I started this organization I had a clear vision for success. I wished to create an amazing environment and hire the smartest people. Together we will build a beautiful system to delight the customers and makes the world just a little bit better. I started working night and day to make my vision “to be most respected CRO” reality, but the things did not go as planned due to some external and financial issues. Fortunately, we came out of that with some unexpected luck and trust of our clients. 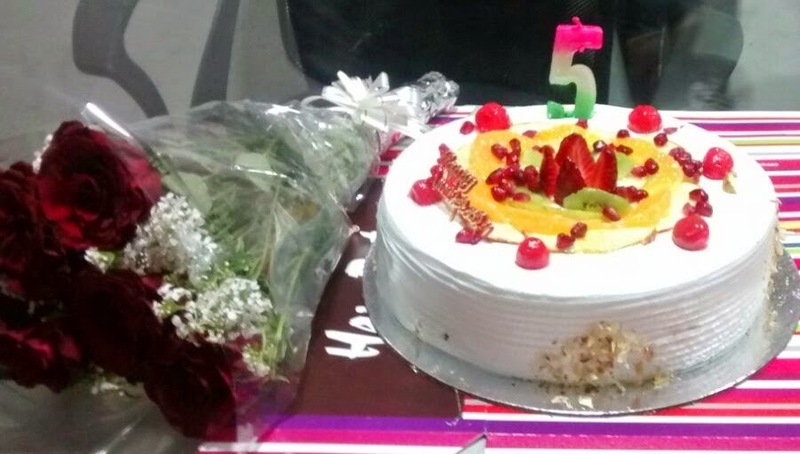 Every member of Genelife team have worked hard to make sure Genelife’s success and celebrate 5th anniversary. Five year is long time as well as short time, compared to a big companies like Quintiles, we are still adolescent. On the other hand, five years in a sector that is constantly and rapidly advancing is an achievement, we can be proud of. It means we have managed to establish ourselves in this sector. We have claimed our rightful place here. This reflects with the kind of work we are doing. Currently we are having maximum approved studies in India with one of the best operations tools to run these projects. Deliverability has been our strength for retaining all business we have. Since inception Genelife Clinical Research capitalized on the company's vision “to become the most respected CRO”. In these 5 years we have translated our knowledge into a full portfolio of drug development which empowers clients to close the gap between their requirement and regulatory needs. In near future, we aim to expand our horizons into the field of BA/BE, Pharmacovigilance as well as studies conducted in other Regulated market in and outside India. Keeping past experiences as well as future dreams in our mind, Genelife Clinical Research shall strive hard to reach the highest peaks with positivity, quality and excellence and make a noteworthy contribution in the field of Clinical Research.